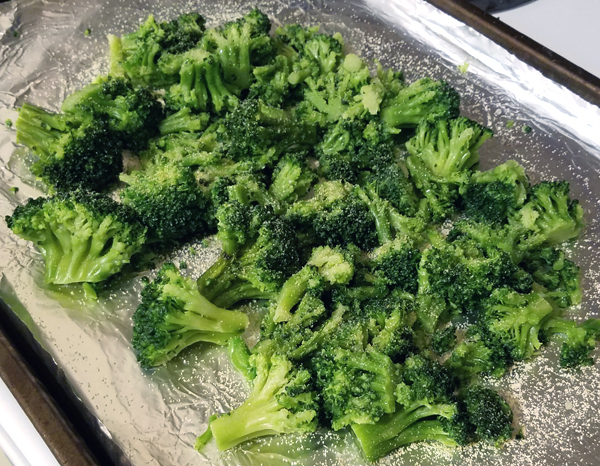 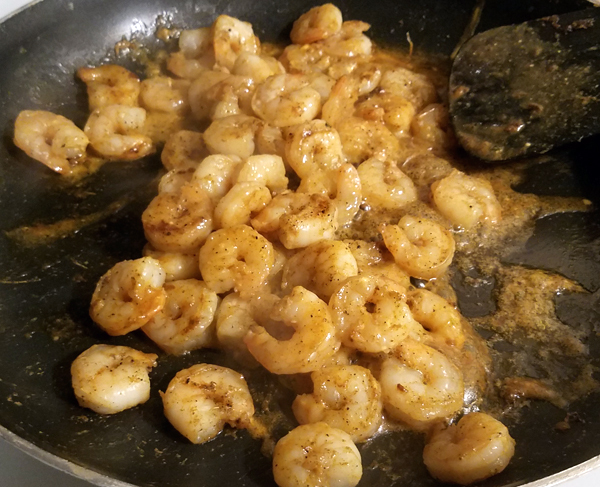 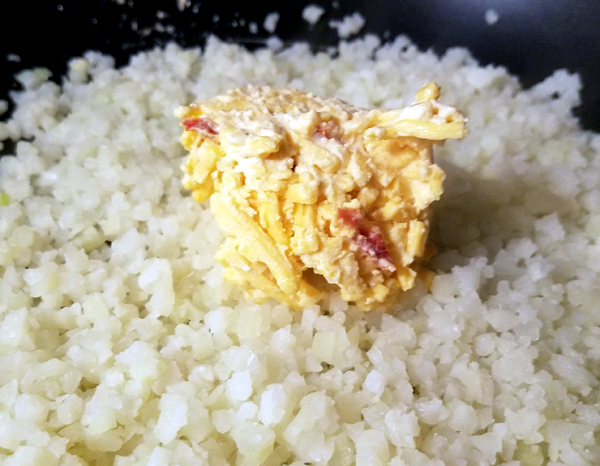 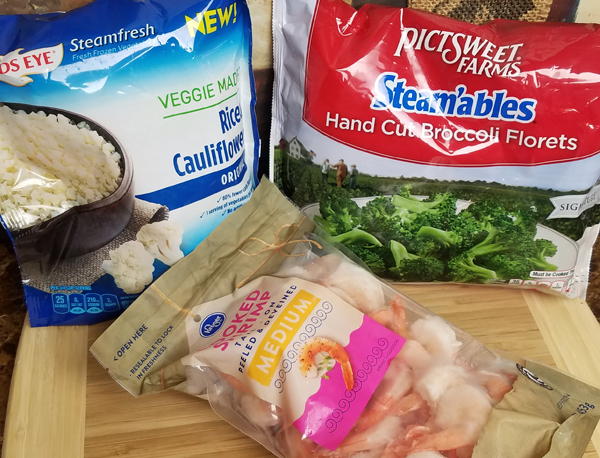 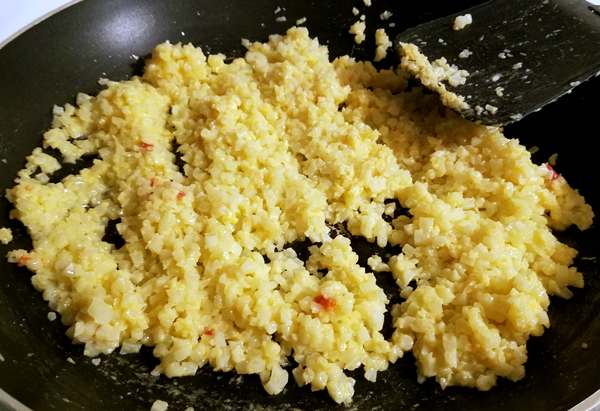 That made my cauliflower rice creamy and cheesy – and oh so tasty! 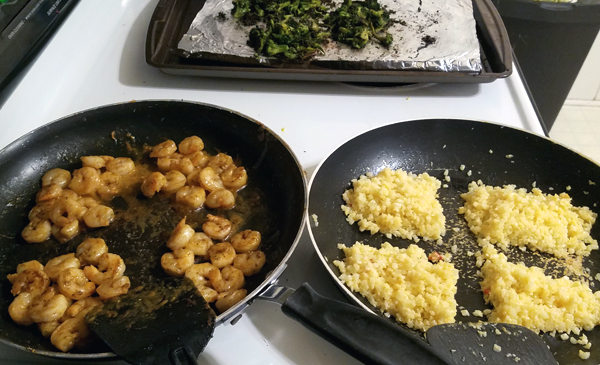 All the different textures and flavors combined made for a fabulous dinner! 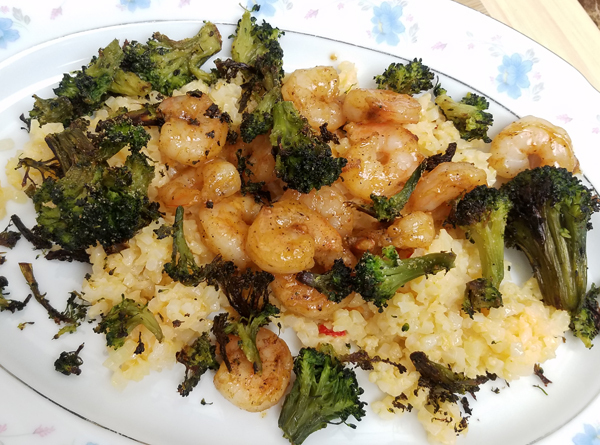 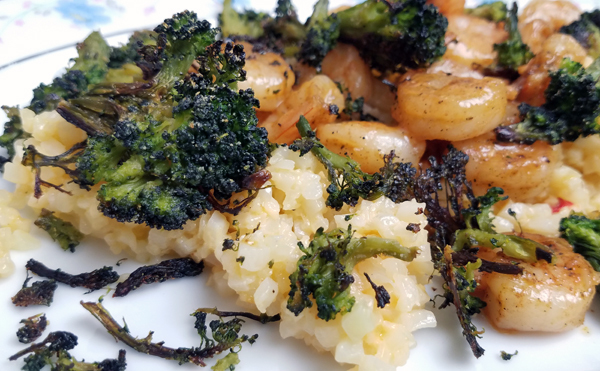 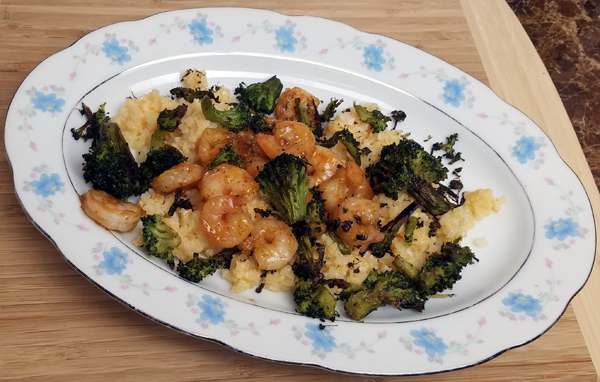 Creamy cheesy cauli rice, crisp garlicky broccoli, sweet & spicy seared shrimp… YUM. 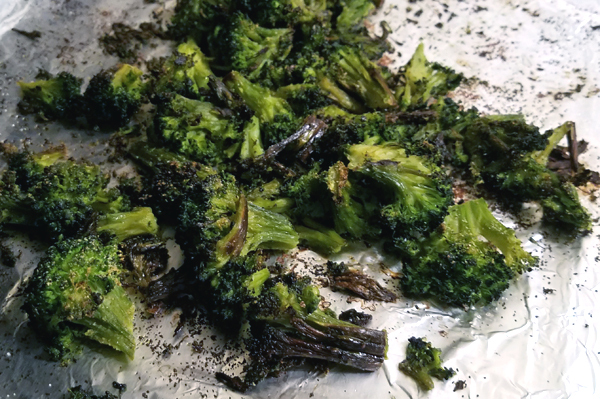 It turned out pretty too. 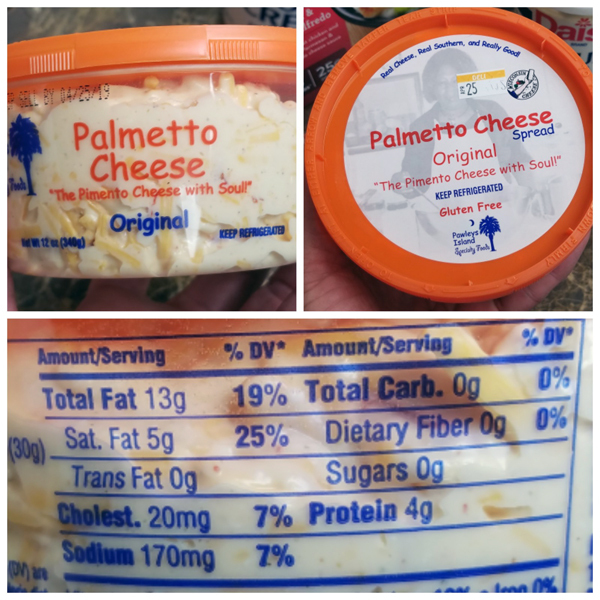 I think I may have eaten a little more of it than ended up in MyFitnessPal. 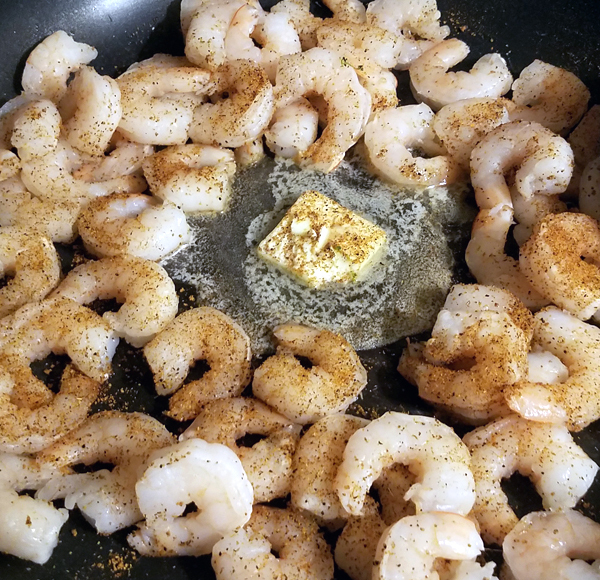 It’s great for drizzling over salmon too.